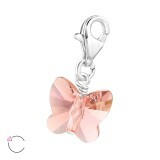 Available in a rainbow of colors, our collection of Swarovski charms wholesale is charming, elegant, and still cheap. 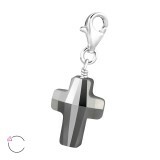 Comprised by either a split ring or lobster claw clasps, our sterling silver Swarovski charms wholesale line is easy to fit. 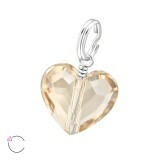 At We Silver Jewelry Wholesale, we provide several designs of Swarovski charms in elegant shapes. 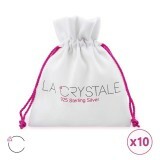 Big enough to make a statement but small enough to remain dainty, our entire La Crystale charms wholesale collection is worth browsing. 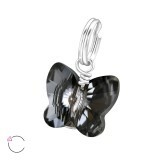 Buy at the lowest charms wholesale prices and save even more money from our supplier's discounts. 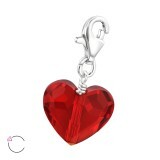 Shop wholesale Swarovski charms in bulk to keep down costs thanks to our volume discounts. Get an additional 5% off on your first order. Buying in a secure way quality wholesale jewelry and saving more is made possible with us.